Is there any paperwork or document for the mechanical systems of 7425 Concession Rd 2 Rd, Adjala Tosorontio, Ontario? I need more information about the property at 7425 Concession Rd 2 Rd, Adjala Tosorontio, Ontario. How ist the neighborhood, location and nearby amenities for 7425 Concession Rd 2 Rd, Adjala Tosorontio, Ontario? I have questions about the roof, foundation, insulations and mechanical issues of 7425 Concession Rd 2 Rd, Adjala Tosorontio, Ontario? I need more information about property details. What's wrong with this house? Is this a short sale? Is there any maintenance for 7425 Concession Rd 2 Rd, Adjala Tosorontio, Ontario? What is this property worth in today's market? What are "closing costs", and how much? What steps should I take when looking for a home loan? What price home can I afford? Is my credit good enough to buy this house? What are the best mortgage options for me? How flexible is the seller on the asking price? 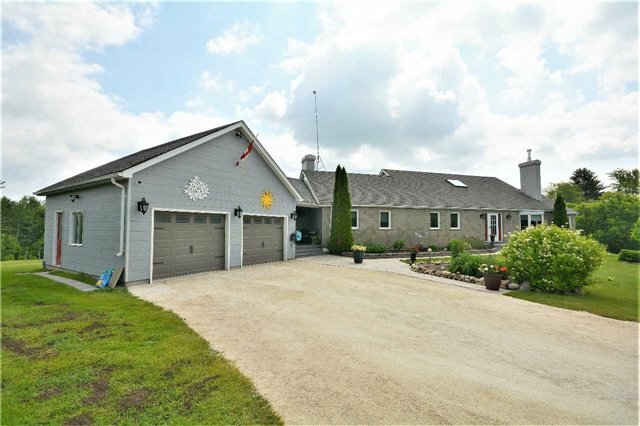 How low can I consider offering for 7425 Concession Rd 2 Rd, Adjala Tosorontio, Ontario? Unique Country Property Has It All! Looking For Room To Breathe? Here Is 3.66 Acres Of Rural Privacy. A Hobby Farm? Check Out The 30X50 Ft Insulated Barn W Stalls & Paddocks. How Bout A Pool? Huge Above Ground Salt Water Pool W Tiered Decking. Need Room For The Extended Family? This Home Has Not One, But Two Separate Apartments, Both One Bedrooms, Full Kitchen/ Bathrooms, & Walkout Entrances. A Great Oppurtunity To Supplement Your Mortgage!